Do you want to get married in an iconic New York style? If so, look no further than Cipriani 42nd Street. Beautifully located right in the center of Manhattan, Cipriani 42nd Street is a favorite of both wedding couples and their guests alike. It’s a classic New York wedding venue for an iconic New York stye wedding celebration. 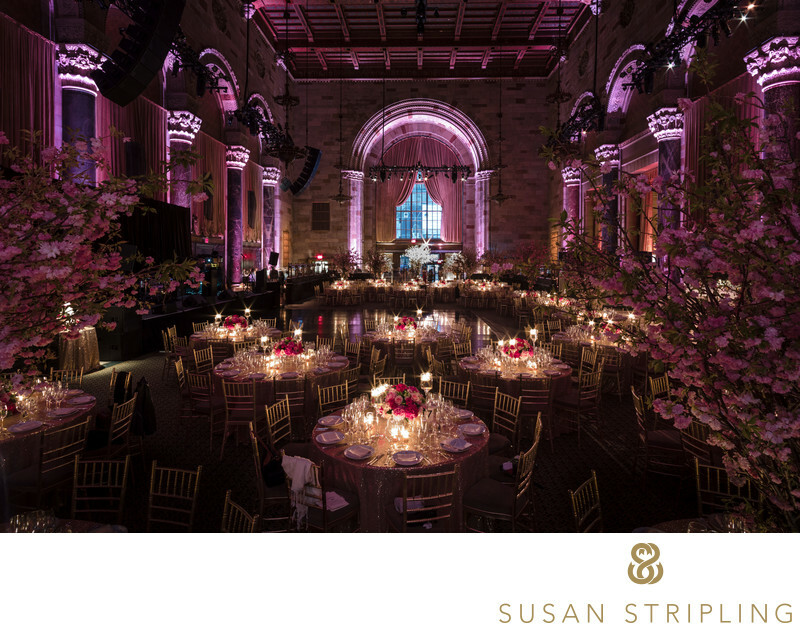 What makes Cipriani 42nd Street one of New York’s best wedding venues? For one thing, it has an enormous guest capacity. You can have up to eight hundred and fifty guests at a seated dinner. You can also hold your ceremony and reception in this cavernous space. There aren’t many Manhattan wedding venues for large guest lists, and Cipriani 42nd Street fits the bill for large weddings brilliantly. What if you’re looking for a modern ballroom wedding venue in Manhattan? 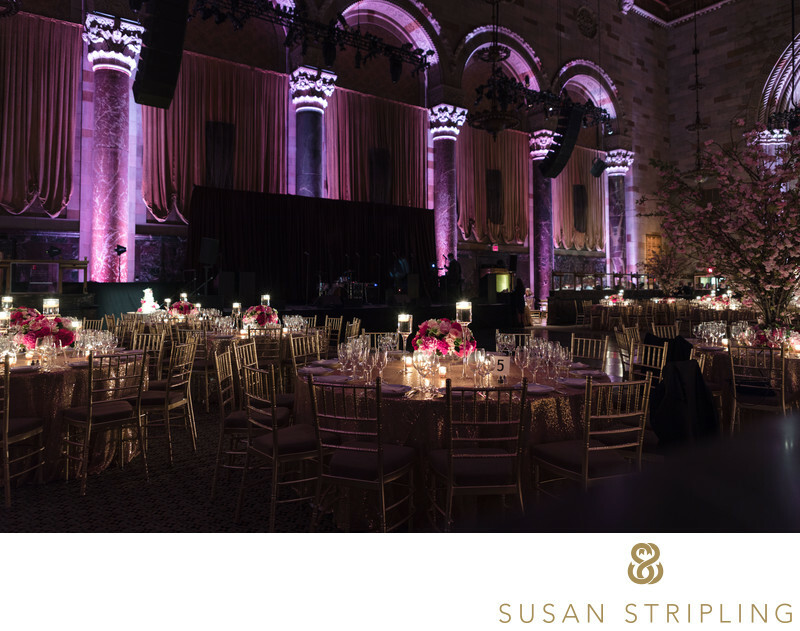 Cipriani 42nd Street might be the perfect choice for your event. If you search the internet for information about a Cipriani 42nd Street wedding, there is so much wonderful information. There are Cipriani 42nd Street wedding reviews, where brides and grooms talk about the extraordinary experience they have with the Cipriani staff and amazing catering. There are blog posts from wedding vendors where they talk about how beautiful a Cipriani 42nd Street wedding is. It’s clearly a beloved Manhattan wedding venue, and it’s easy to see why. If you’re considering having your wedding at Cipriani 42nd Street, consider the decor of the space. It’s a beautifully enormous wedding venue, which is a part of its’ charm. Cipriani 42nd Street has many options for lighting the space, and I highly suggest you take them up on that! The gorgeous theatrical lighting they can provide really enhances the space and adds to the drama of the venue. You can see the lighting brilliantly highlighted in this image. The uplighting adds a sense of intimacy in the large space, mimicking candle light and adding a warm glow to the space. Another wonderful thing about Cipriani 42nd Street and Cipriani Wall Street alike are the bridal suites. Many venues have tiny, cramped bridal suites…but not the Cipriani wedding venues. Cipriani 42nd Street has several enormous rooms for the bridal party to get ready in. My favorite of those rooms has huge windows to let in an abundance of natural light. You don’t have to worry about finding a hotel to get ready in for good wedding day getting-ready pictures, because Cipriani has two of the best bridal suites I’ve ever seen. It’s so convenient to be able to get ready on site and have the locations also be extraordinarily picturesque! It’s hard to stress how excellent the location of Cipriani 42nd Street truly is. For local wedding guests, it’s an easy location to access. Public transportation is abundant, and there are dozens of parking garages nearby for guests who choose to drive in. For out of town wedding guests, the location is nothing short of iconic. There are hundreds of hotels in the nearby neighborhoods alone, which makes finding room blocks incredibly easy to come by. Your out of town guests can stay in the Times Square area. That makes for a wonderful long wedding weekend, as they can take in a Broadway show while they are in town! You will also be very close to Rockefeller Center, another popular tourist location with many hotels to stay in and attractions to see. Choosing a Times Square adjacent wedding venue means that your guests who travel into New York for your event will have so much to do on the days they aren’t at your wedding! From shows to restaurants, hotels to tourist attractions, Cipriani 42nd Street could not be in a better location! When it comes to Cipriani 42nd Street wedding photos, the sky is the limit. 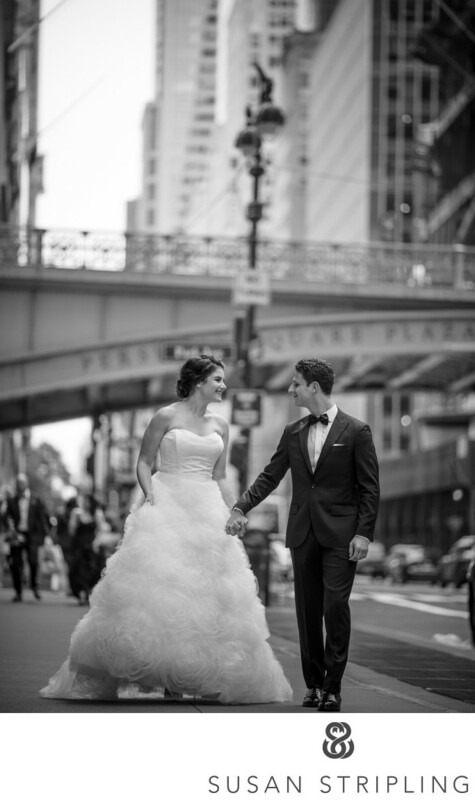 You’ll be in a wonderfully central Manhattan location, which is a great place to start your wedding day portraits. 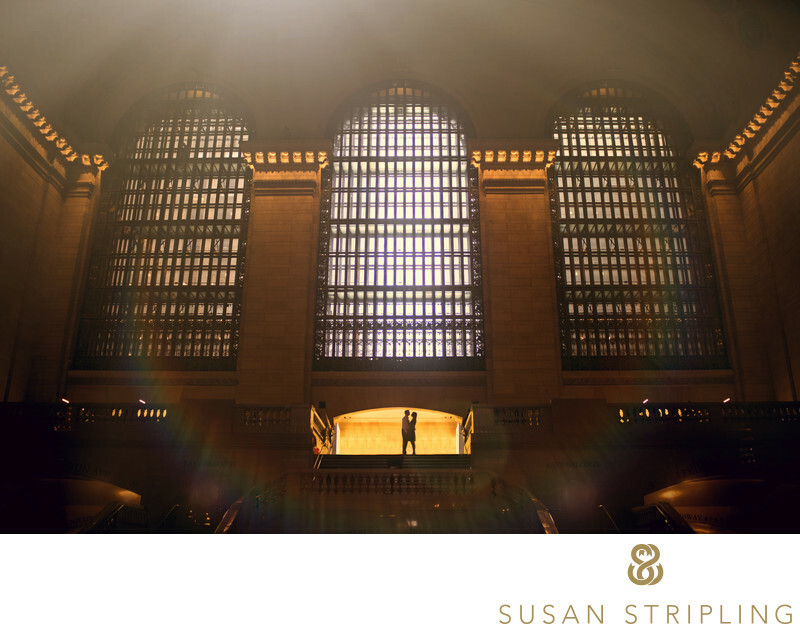 If it’s raining outside, you can obtain a permit to get your wedding day pictures taken in Grand Central Terminal. If it’s not raining, the neighborhood is full of remarkable photo locations. The views of Grand Central Terminal from outside of Cipriani 42nd Street are beautiful. There are also gorgeous views of the streets from different vantage points. The iconic front steps of Cipriani 42nd Street is a marvelous space for bridal party and family portraits, no matter what time of day. If you’re unsure of where you’d like to go for your Cipriani 42nd Street wedding pictures, I am more than happy to help you choose locations. We can stay near your venue, or we can look at nearby locations that are easy to transport to. 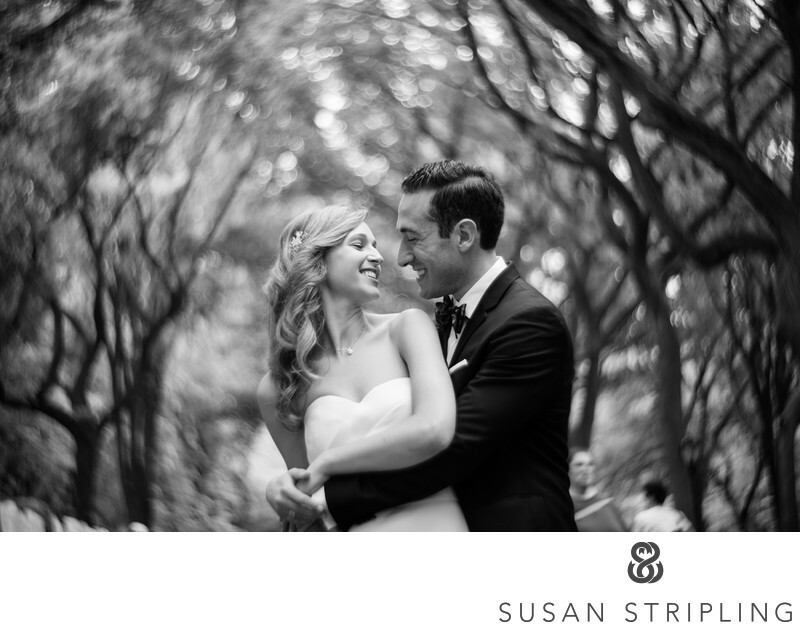 With its’ central Manhattan location, there are many Cipriani 42nd Street wedding picture locations nearby. 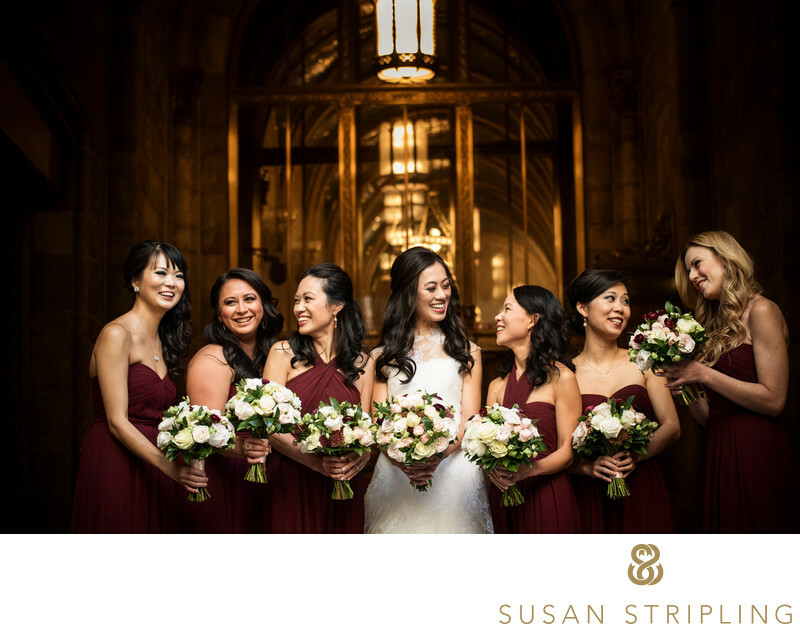 We can go to Bryant Park, the New York Public Library, or even take the extra time and go up to Central Park for your New York wedding day photos. 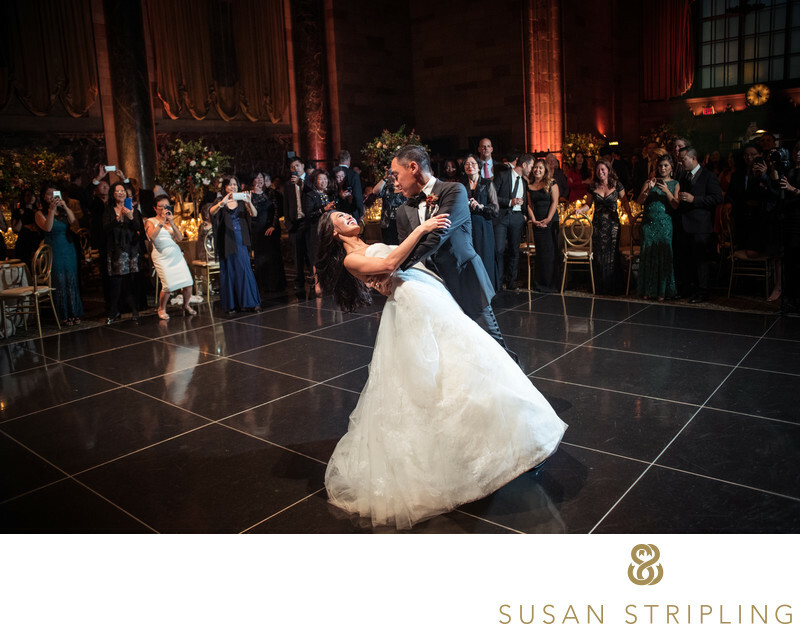 This Cipriani 42nd Street wedding picture was taken during the wedding couple’s first dance at their wedding reception. This image truly highlights how Cipriani 42nd Street can be enormously elegant and also charmingly intimate at the same time. The circle of guests around the couple is warm and welcoming, while the soaring walls and arched ceiling surround them with opulence and grandeur. I feel like that truly encapsulates what makes a Cipriani 42nd Street wedding so charming. Many huge Manhattan wedding venues can feel imposing and cold, but Cipriani 42nd Street never does. The dark floors and soaring ceilings embrace you instead of feeling unfriendly, and it’s one of the most magical large New York wedding venues that I’ve had the pleasure of working in. 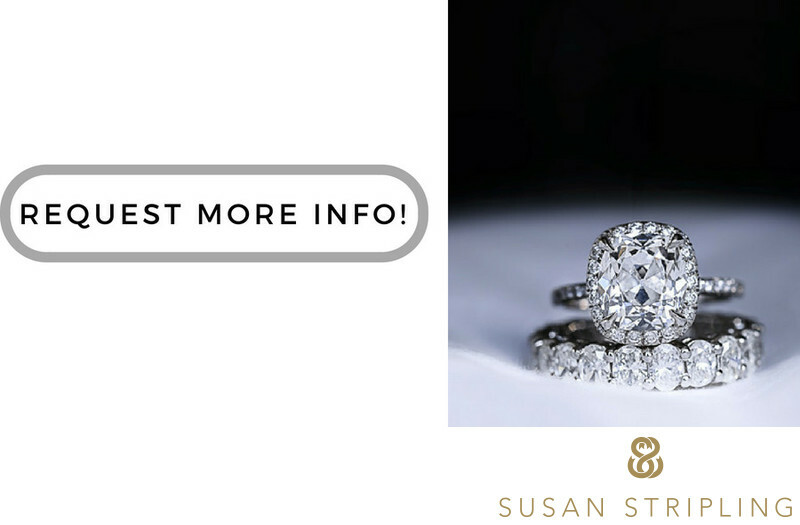 If you're getting married at Cipriani, click below to get in touch. I'd love to talk to you about your wedding photography! Location: 110 E 42nd St, New York, NY 10017. 1/80; f/4.0; ISO 2000; 28.0 mm.